Aerial photo of Westgate Water Tower. 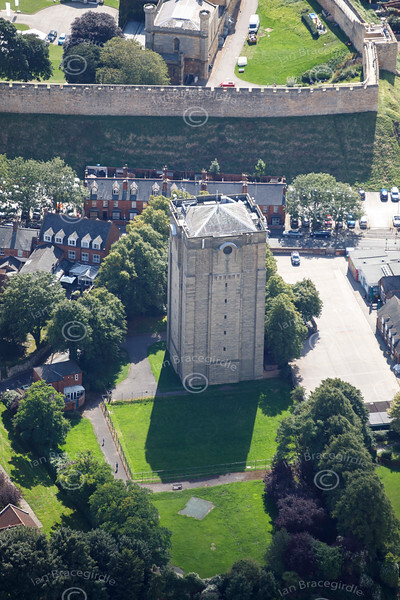 An aerial photo of Westgate Water Tower next to Lincoln Castle. Built in 1911 the water tower looks in keeping with its neighbour the castle.